This information is intended to help you to create an own project on a BeagleBone, BeagleBoard or Raspi. With changes on the circuit and the code many other embedded computers may be used. My solar power station is using three old data logger (SIC 100) with serial interface (3xEIA232). To monitor our family’s power consumption the teensylogger weigu.lu/b/teensylogger was created. A second teensylogger is redundantly monitoring the solar power station (2xEIA232). 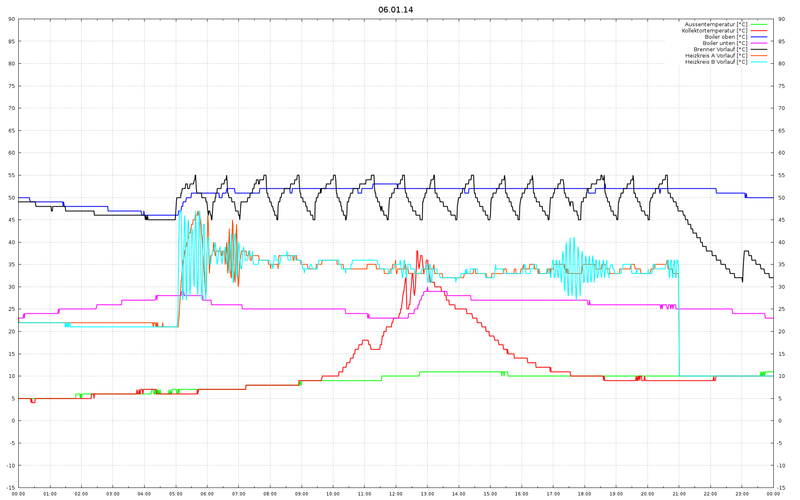 My old heating controller from Resol (thermal solar power and gas) can be accessed via EIA485. And finally I would like to monitor my ventilation (1xEIA232). I needed a little server to collect an treat all this data. 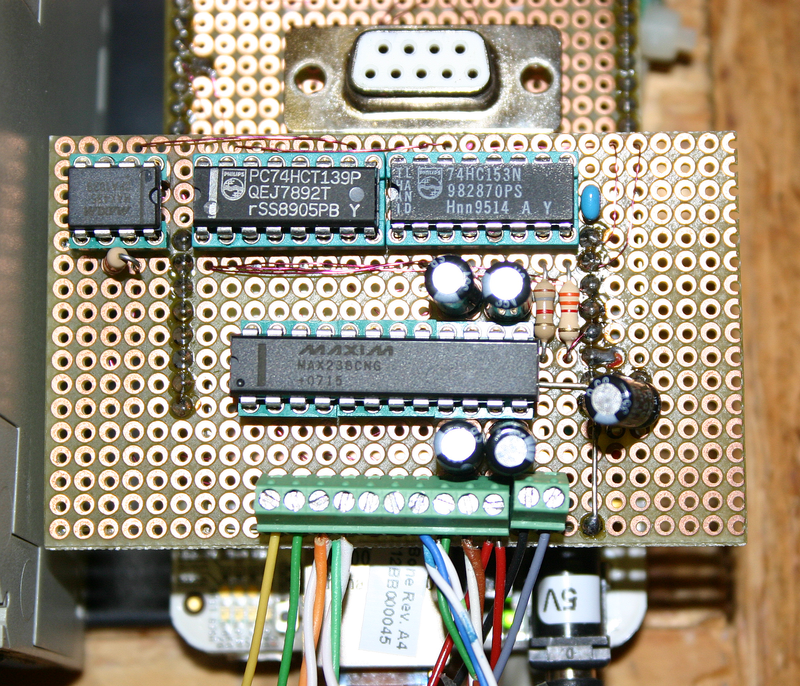 First I used a BeagleBoard-xm with only one serial interface (multiplexing to 4, programmed in c). Than I realized that my old BeagleBone (not black :-)) has 4 serial interfaces. So I switched to the BeagleBone. The code is written in Python using the pybbio library from alexander hiam. 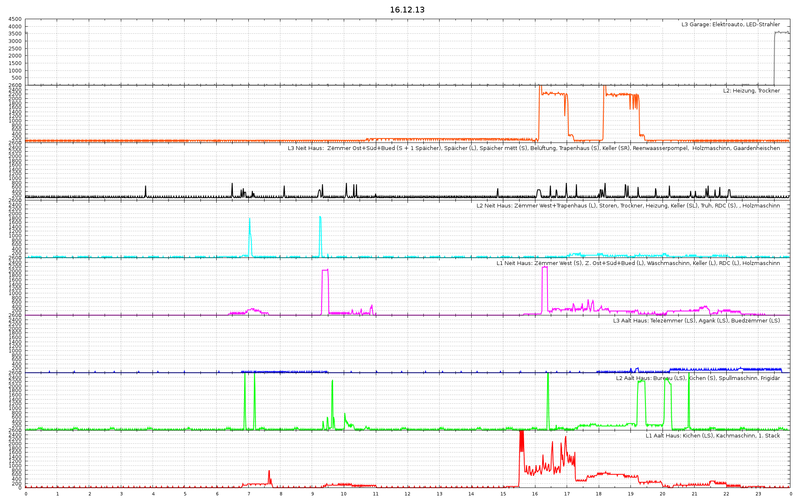 The server is collecting and merging the data from the three sic, the two teensylogger and the heating. The data is archived. The graphics are created with gnuplot, archived and mailed to my mail-account. One graphic is uploaded to this internet server. The result may be seen on weigu.lu/e like Energy. Here three graphics from the home server: energy consumption, heating and solar power. The Max 560 from Maxim has four line drivers, five receivers and the on-board charge-pump voltage converter converts the +3.3V input to ±6.6V needed by EIA232. The sic data loggers need a CTS (Clear To Send) signal. Pin 46 (GPIO 2_7, P8 header) generates the RTS signal (RTS (DTE) is connected to CTS (DCE) with a null modem cable) witch is common for the three ports. The 3.3V are high enough to signal my data logger that the line is active. On the board you see one DE-9 connector. 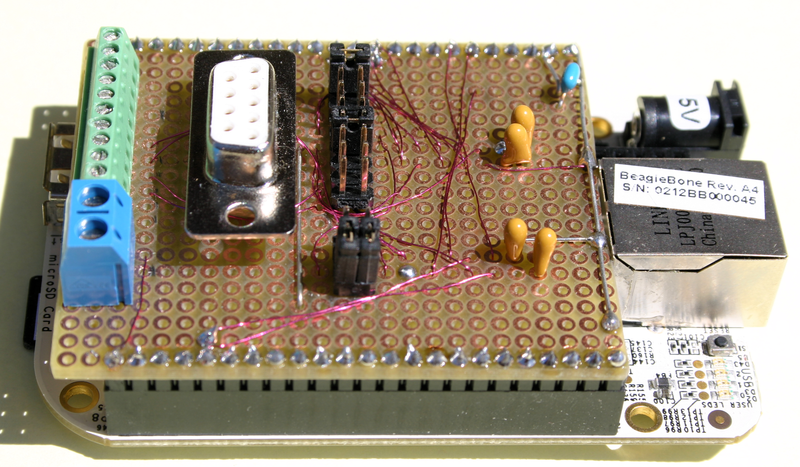 It is possible to connect the DE-9 with one serial port using jumper. The 3 serial ports are available on the screw-type terminals. On the piggyback-board (5V) the MAX 238 is used for the same task. RX is multiplexed with half of an 74HCT153 and TX is multiplexed with half of an 74HCT139. 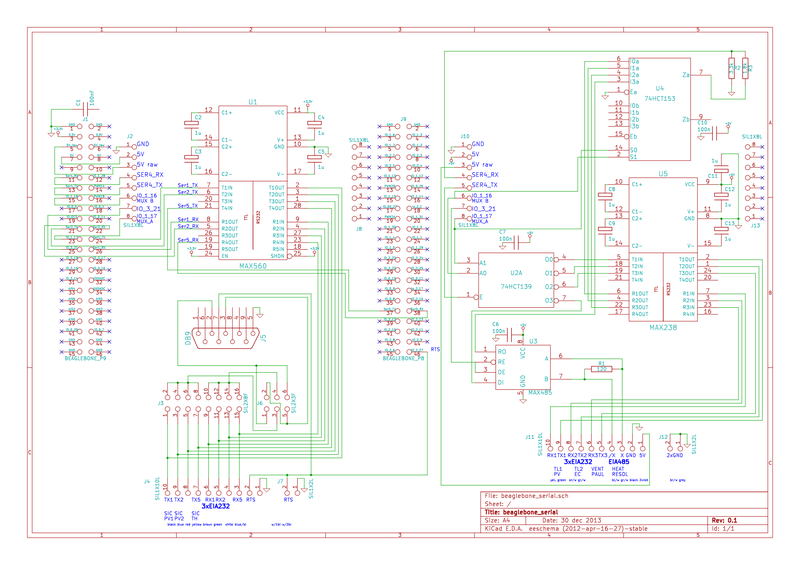 Two GPIOs Pin 46 (GPIO 1_16 an 1_17, P9 header) are selecting one of the 4 interfaces. A voltage divider is needed to reduce the 5V to 3.3V. EIA485 (MAX 485) is half-duplex. 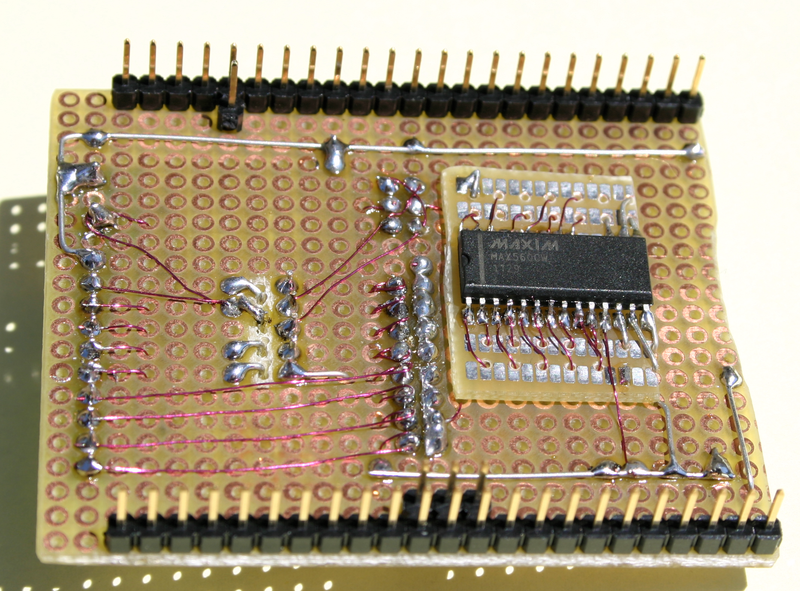 One GPIO Pin 46 (GPIO 3_21, P9 header) helps to toggle the direction. The data is managed by 4 little python programs. A cronjob is starting the programs. The data from the teensylogger and the heating is logged every minute. The data of the three sic datalogger is collected at the end of the day and mailed at 8 am. For mor details, download the code. delay(10000) #wait 10 seconds for teensylogger to complete! set key bottom center outside horizontal samplen 7 spacing 1 width 10 height 2 font ",18"
set ytics 10 font ",18"
set style fill solid border lc rgb "black"
"" u 1:($5/1000) axes x1y1 w boxes t 'WG\_day[kWh]' lc rgb "red"